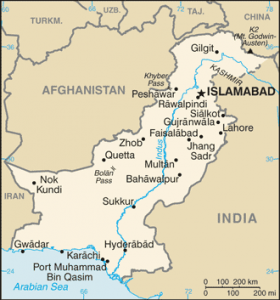 A leishmaniasis outbreak in Pakistan’s northwestern region of Khyber Pakhtunkhwa prompted a World Health Organization (WHO) workshop last month in Peshawar to instruct on the diagnosis, treatment and management of leishmaniasis. Khyber Pakhtunkhwa has reported 22,112 cases of leishmaniasis since Jan. 2014. Dr Shabina Raza, Director-General of Health Services for Khyber Pakhtunkhwa, noting the Department of Health’s close collaboration with WHO, expressed her appreciation to WHO for importing 50,000 doses of Glucantime medicine from France for the treatment of leishmaniasis in Pakistan. Training workshops are also to be organized in other provinces. These parasites are transmitted to humans by the bites of the infected female phlebotomine sandfly – a tiny – only 2–3 mm long – insect vector. There are three main forms of leishmaniasis: cutaneous, visceral or kala-azar, and mucocutaneous.